A major new power facility in Boston which would use household waste to generate electricity would create 400 jobs during its construction. Around 100 full time new jobs would be needed to operate it once it is up and running, members of Boston Council’s cabinet will be told at a meeting next Wednesday. But although the council is generally positive about the scheme, concerns have been expressed about the size and scale of the project, and the amount of employment land it will take. And members of a sub committee that discussed the plans earlier this month also raised concerns about potential emissions from the site, and any hazardous waste that might need to be transported from the plant by road. The Boston Alternative Energy Facility (BAEF) is currently consulting on its proposals for the plant on a large site alongside The Haven on the Riverside Industrial Estate. The development would include a wharf with cranes and berthing points as well as the generation, storage and processing facilities needed at the plant. Non-recyclable household waste will be shipped by river to the plant to cut down on road use. BAEF says it will process one million tonnes of refuse and generate enough power for more than 185,000 homes - the equivalent to more than 60% of the households in Lincolnshire. The Government, not Boston Council, will have the final say on whether the development gets the go-ahead or not. But the council is one of the stakeholders who are being consulted as part of a ‘statement of community consultation’ that is ongoing at the moment. In a report to Cabinet, economic development manager Clive Gribbon broadly welcomes the scheme. He said the BAEF would have a large scale impact on the local economy in terms of job creation, business and supply chain growth. It presented “a significant opportunity for Boston as the economic centre, and the wider economy, to deliver diverse employment and skills opportunities in the energy sector and especially in Science, Technology, Engineering and Maths (STEM). 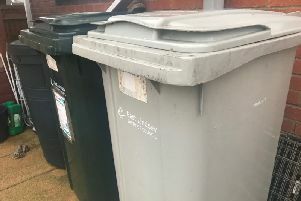 The council’s head of environmental operations Chris Allen said the proposed development has great potential for partnership working which would contribute signifi towards Lincolnshire County Council’s Waste Strategy. But the council’s principal environmental health officer John Chapman said the department would want to see more information on air quality impact, flood risk, noise levels, and impact on local ecology.